I am so excited to share this product with you mamas and mamas to be! 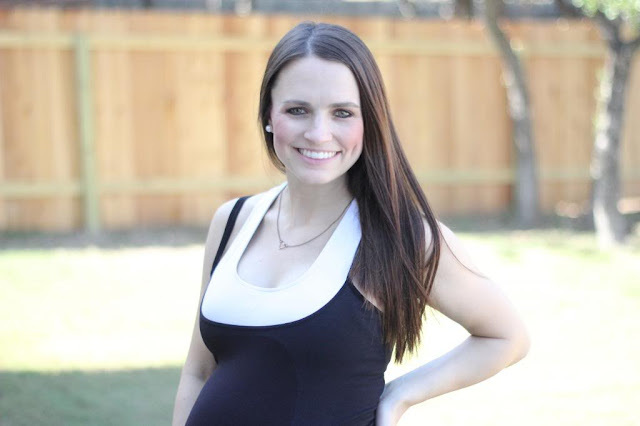 I was thrilled to be asked by the ladies behind BLANQI to review their new maternity support cami line for Target. 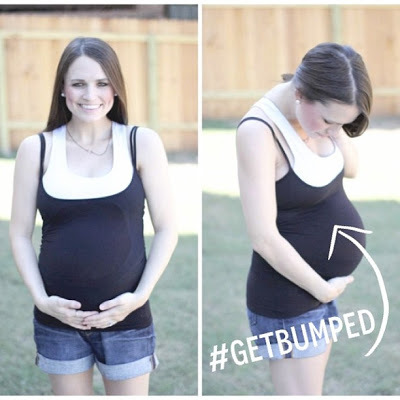 I wish I would have had this cami since the beginning of my pregnancy because it makes me feel fantastic! The nylon fabric is meant to support the added weight your bump brings and help smooth lines. I filmed a short video review to let you take a peek at the cami. Bumped by BLANQI Review from Ruthie Hart on Vimeo. Sorry for the over use of "um" and random babbling. Pregnancy brain much? I'm not gonna lie, I was out of breath after standing and talking for 5 minutes hehe! 1. The material! It is super breathable, reminds me of workout tops that help hold in sweat. And remember there is a postpartum cami as well! I live target and I know more babies are in my future so this is a mist entry for me! The top looks very comfortable and you look so cute in it! Love it! I'm going to have to check these tanks out!! While I dont plan on having kids soon, I'll definitely remember this!!! And let me just say you are too cute. I'm in love with that purple top you're wearing. Your bump looks so cute in it! I'm definitely going to check this out. The other day I was out with my husband walking the dog and he said, "Nice belly shirt but this is a family place". I have a short torso and my regular top and regular cami were both starting to ride up over my belly! Oops! I must see if our Target has them! They sound awesome! Gorgeous, Ruthie! Your video was perfect, you did a great job filming it yourself! That looks super comfy and I'm sure any added support helps out big time! You're adorable, Ruthie! Your belly is just precious! i have been DYING for one of these!!!! especially now that my back pain is out of this world. i dont know why i dont have one yet. and im so jealous of how cute you look in your shorts! and i love the collage behind you! makes me anxious for a peek at your nursery! Those are awesome.. wish I new about them when I was pregnant, but I guess I should find one for next baby??! so adorable and FREAKING CUTE are you!!! My sister would love this...fingers crossed that I win for her! you really have a very nice blog,it's the first time to be here but it won't be the last until then keep blogging..goodluck! my dr recommened this but i was wondering what size did you order?